The Big 24 Strength deploys a “working rounds” progression that is a specified amount of weight below your 3RM. 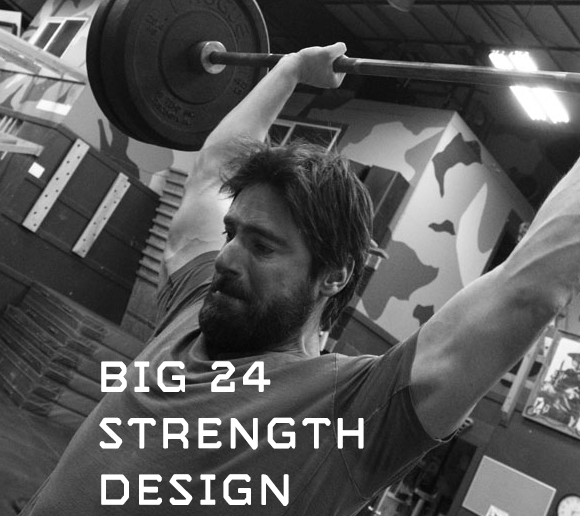 Big 24 Strength Design uses a strength progression based upon 3 Repetition Maximums (3RM) to increase your Maximal Strength. The progression is based on a 8×3 set/rep templates with the progression being applied to sets 4-8. The name Big 24 is derived from the number of total reps you will perform for the exercises during training sessions (8 x 3 = 24). By the end of this course, you will be able to apply the Big 24 methodology to one exercise in any cycle, or with several exercises in a focused, strength cycle. How we test for 3RM (3 Repetition Maximum) for Strength Exercises. The specific set/rep schemes and percentage progressions we deploy in Big 24 Progression.